The Milan - 3 Column Radiator Wall Mounted is a beautiful column radiator, which has been exclusively designed and Made in Italy. The Milan comes pre-assembled in various heights, widths and column configurations. Solid Wall Brackets – Offering a sleek design and ideal when feet can’t be installed due to skirting boards etc, these work for all solid walls. Stud Wall Brackets – Ideal solution when no feet are wanted and installation is to be onto a stud wall. They help spread the weight over the wall. 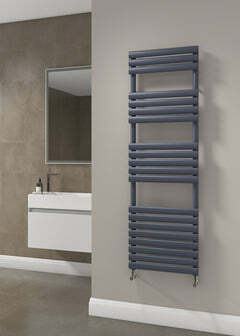 The Milan Column Radiator allows you maximum flexibility to create a radiator that matches your exact requirements. A vast array of over 500 sizes can be achieved by combining column depth, height and number of sections to achieve your desired output without compromising space; select a mounting option and add a colour or special finish to complement your interior. 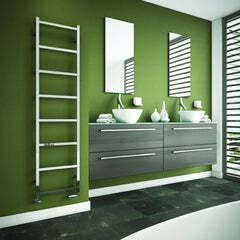 The Milan - Column Radiator is available as either White RAL 9016, a choice of 188 RAL Colours or 32 Special Finishes. RAL colour finishes include popular colours such as Anthracite, and Gunmetal. To choose the RAL colour or Special Finish you require, please view the images to see the colour options on the right, and then type in your choice to the notes box at the checkout. 3 Column Depth is 101mm. 500+ combinations in 2, 3 & 4 Column. The Milan - 2 Column Radiator Wall Mounted is a beautiful column radiator, which has been exclusively designed and Made in Italy. 2 Column Depth is 65mm. 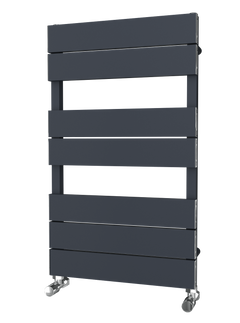 The Milan - 4 Column Radiator Floor Mounted is a beautiful column radiator, which has been exclusively designed and Made in Italy. Cast Feet – The cast feet compliment the Ancona adding a traditional look to the radiator. They can be positioned anywhere along the radiator to give the desired look. 4 Column Depth is 139mm. The Milan - 3 Column Radiator Floor Mounted is a beautiful column radiator, which has been exclusively designed and Made in Italy. 3 Column Depth is 139mm. The Milan - 4 Column Radiator Wall Mounted is a beautiful column radiator, which has been exclusively designed and Made in Italy. Welded Feet – The welded feet offer a modern twist on the classic design, with a sleek look. These feet are fitted on the end of the radiator, with additional feet positioned in the middle depending on the length. The 4 White Column Horizontal Radiator is a beautiful column radiator, which has been exclusively designed and Made in Italy. 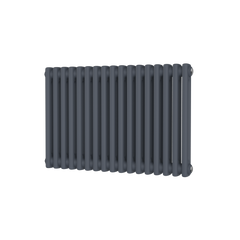 The 3 White Column Horizontal Radiator is a beautiful column radiator, which has been exclusively designed and Made in Italy. It is available in the breathtaking Raw Metal finish.